If you like Hannah Banana clothing, which most of our customers do, you will totally fall in love with our new Summer 09 collection, now available for pre-order. 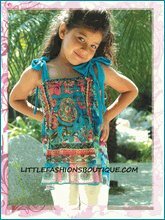 This season, we have a large selection for girls in size 2T to 14. CRUISE 2009 collection has already arrived and is the strongest we’ve seen in several seasons. 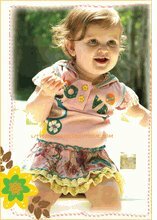 Also make sure to check Baby Sara that is available in szie 12m to 6X now.